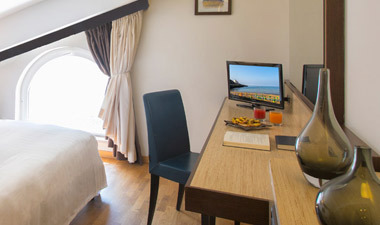 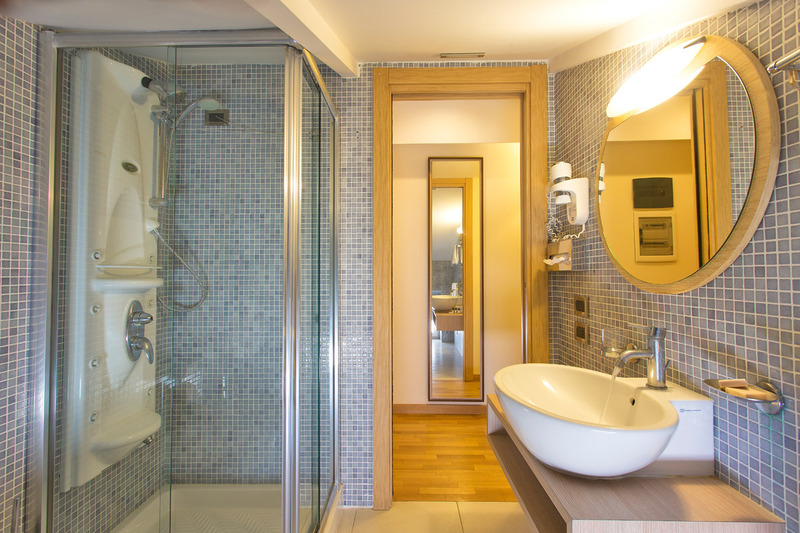 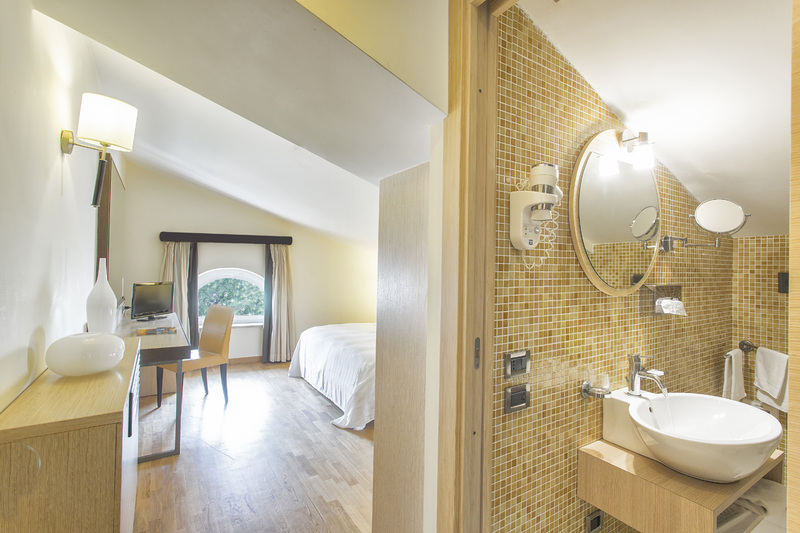 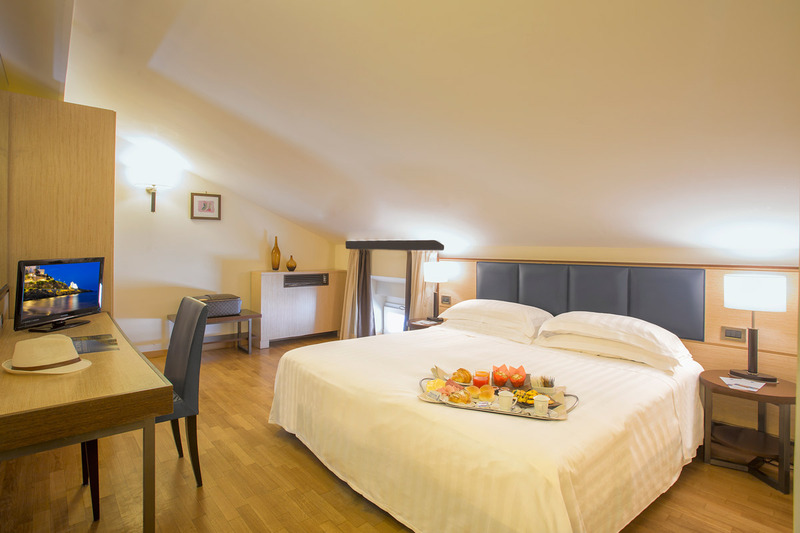 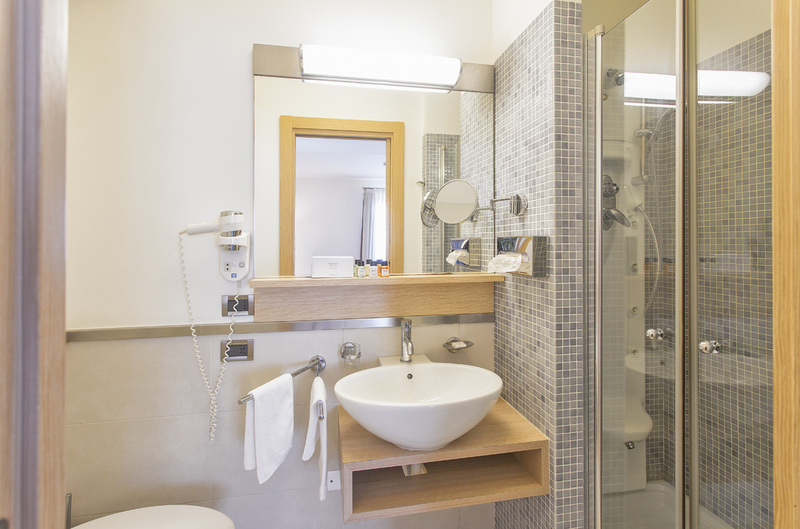 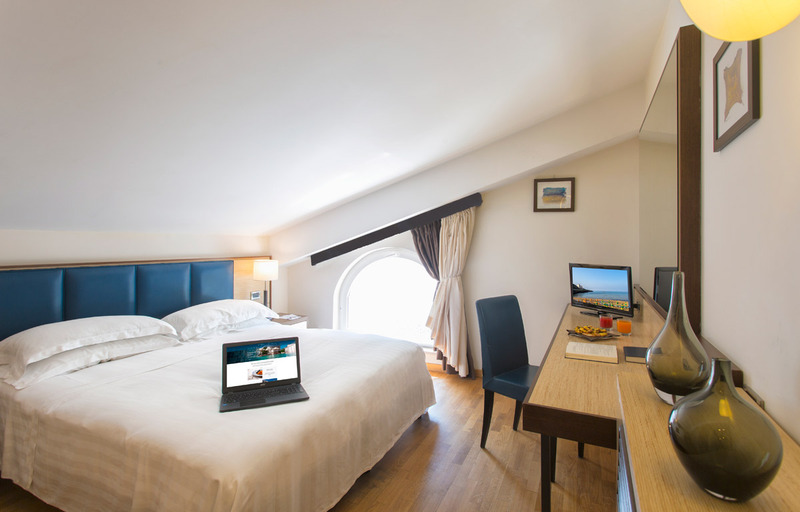 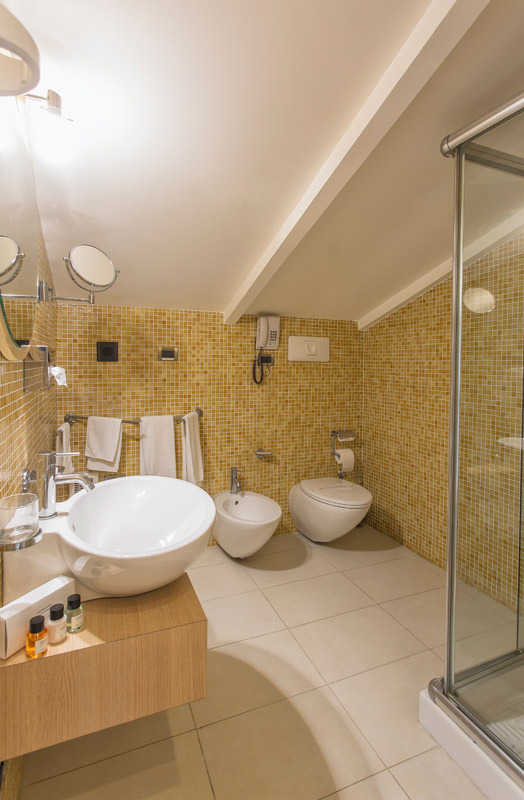 The rooms at the Virgilio Grand Hotel range from 18 to 25 sqm, and they all offer the full comfort and relax of a whirlpool shower or a Jacuzzi bath. 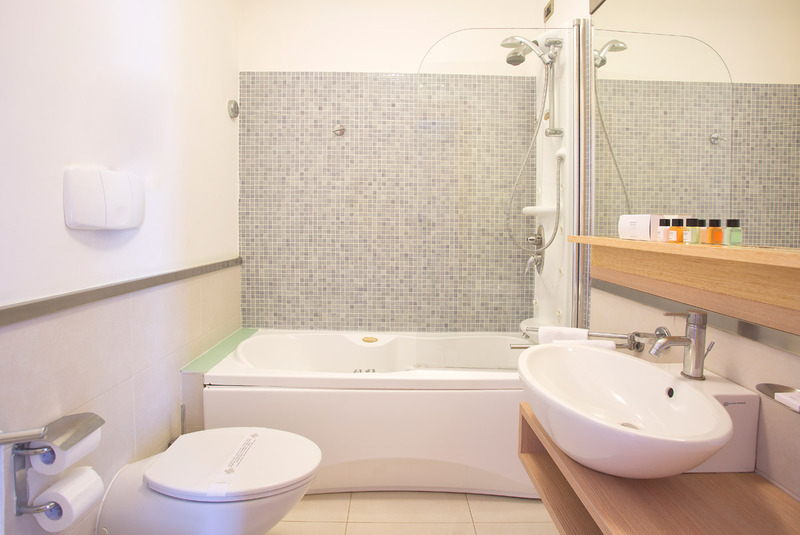 Every room type is made for different requirements, from young couples to families up to 4 people. 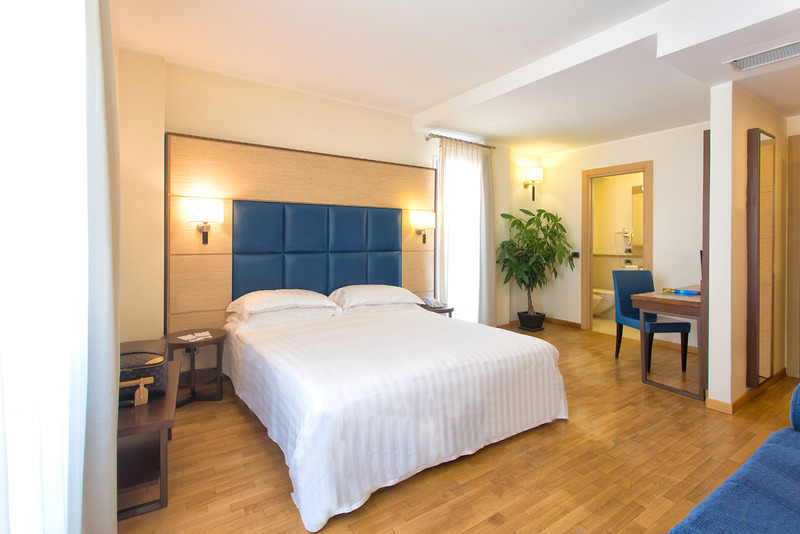 Outside, make the best out of your holidays with a great number of facilities for leisure, wellness and training. 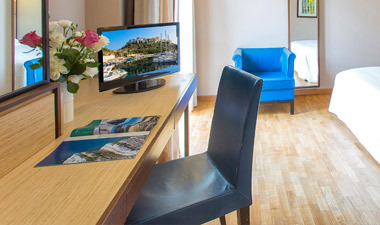 The hotel and its facilities are within minutes from the sea of Sperlonga and its peculiar old town. 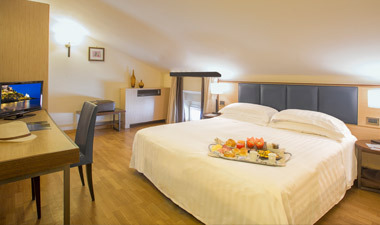 The Bohème attic rooms with sloping roof. 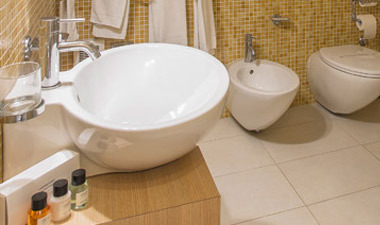 They have all comforts and services. 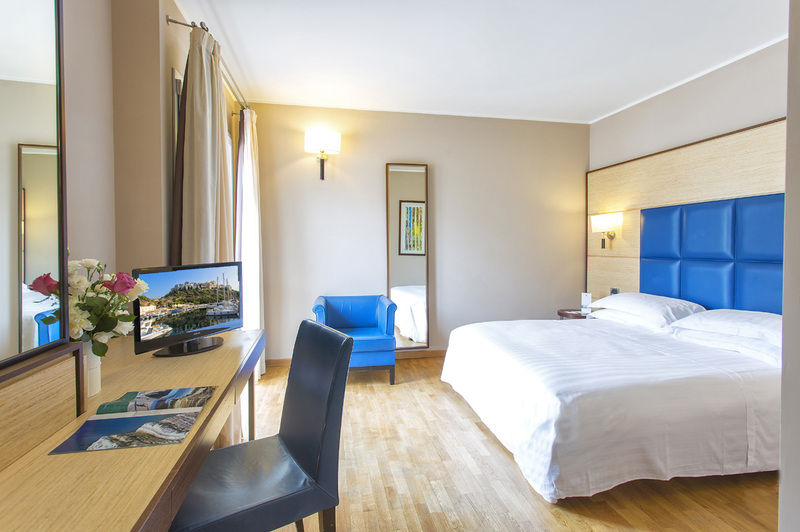 The perfect mix of style, comfort and services. 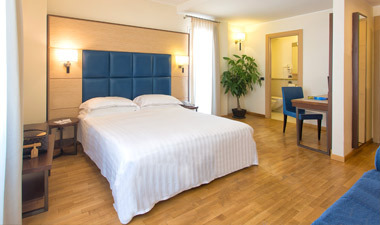 Standard rooms have many virtues, such as the independent air-conditioning. 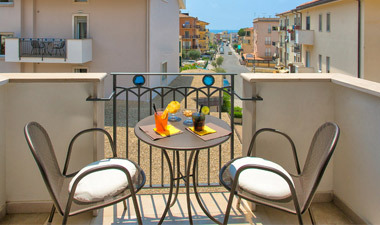 Some Standard rooms also have a nice detail: a small terrace that can be equipped with table and chairs. 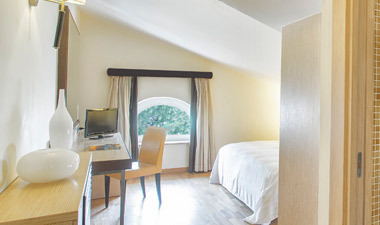 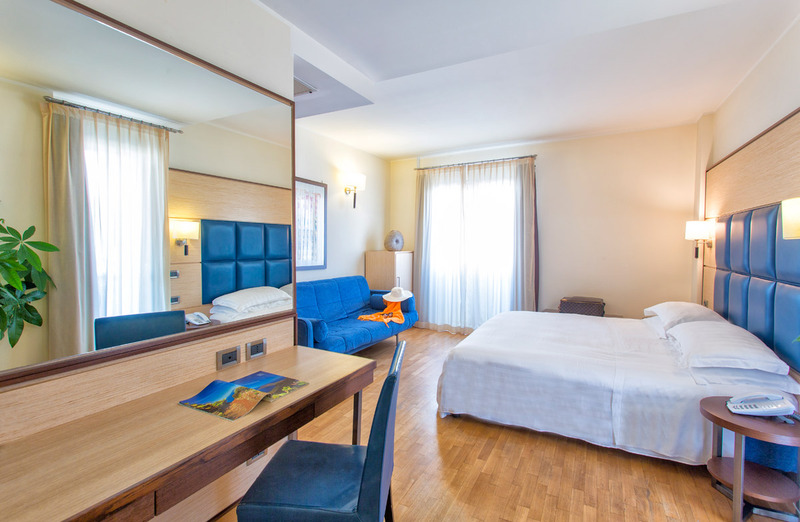 Superior rooms are large, modern and bright, for an even bigger comfort. 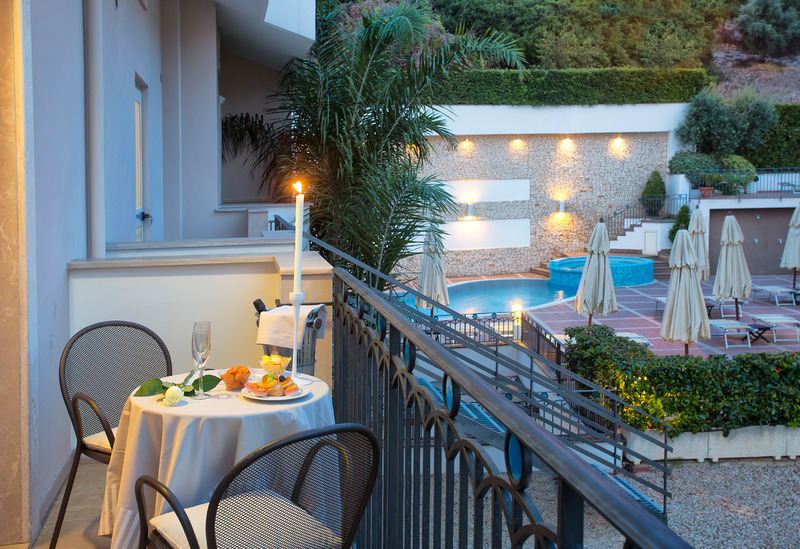 Guests will be welcomed by an equipped terrace with table and chairs, for an open-air lunch or a moment of relax. 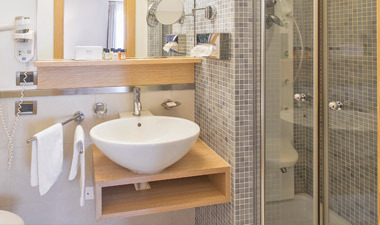 Then, try the extreme relax of the Jacuzzi bathtub. 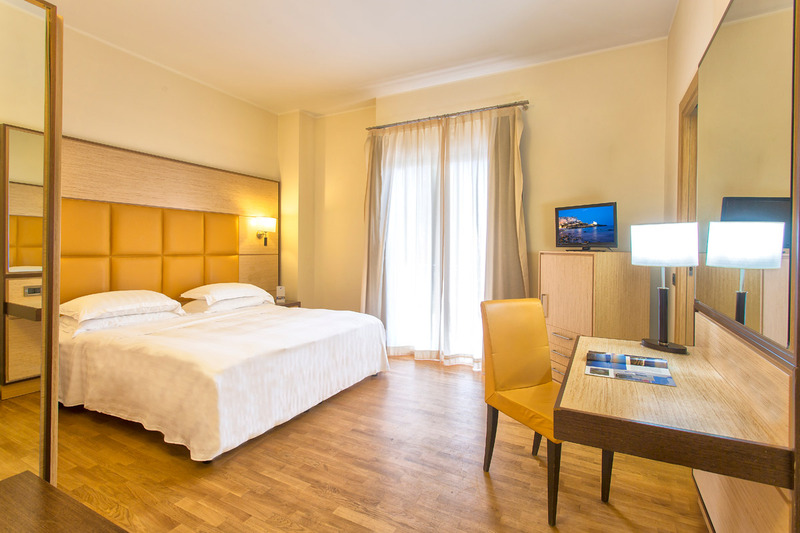 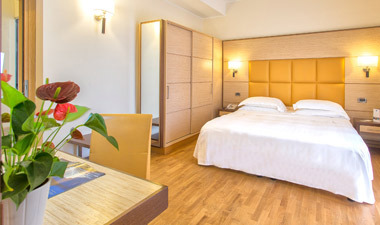 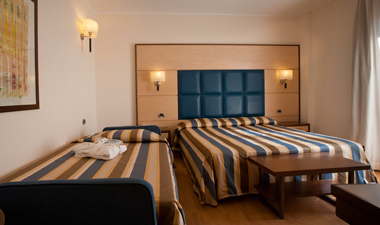 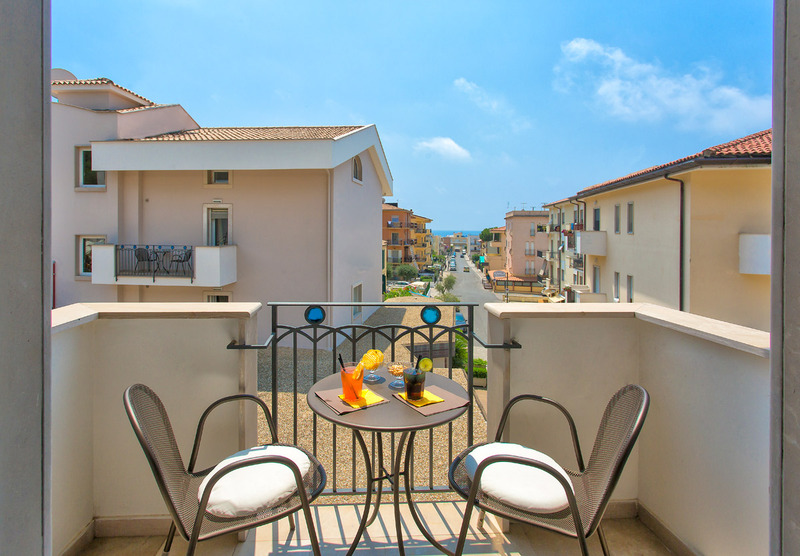 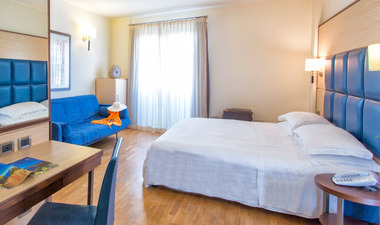 The Executive are our largest rooms, made for families who wish to spend their holidays in Sperlonga. 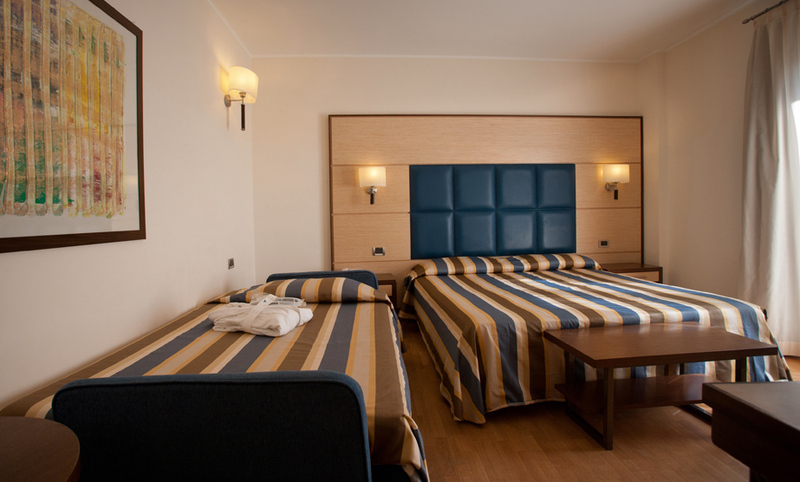 Every room is equipped with a cozy extra sofa that easily turns into a queen-size bed. 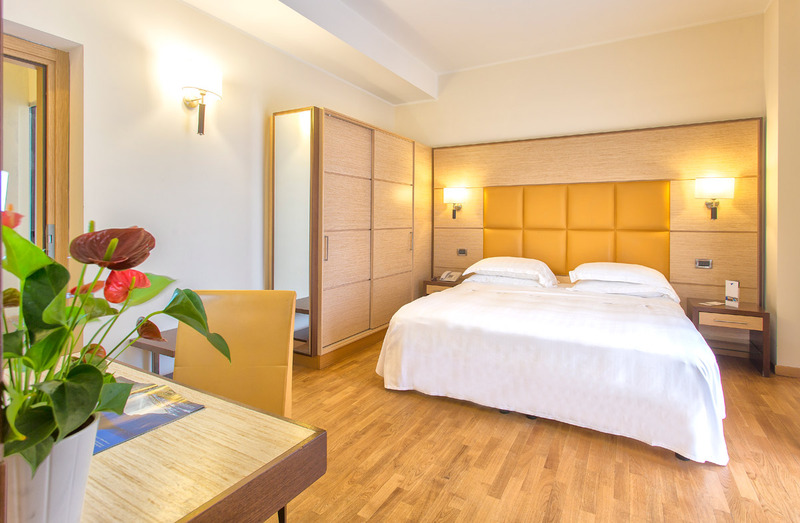 Standards can accommodate up to 4 guests.